OLD PARKED CARS. 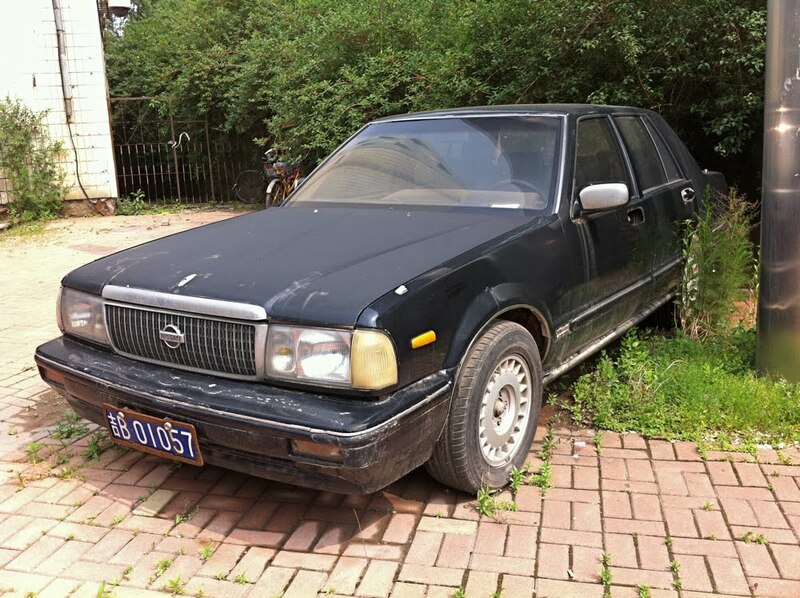 : Final China Bonus: 1993 Nissan Cedric VIP Brougham. 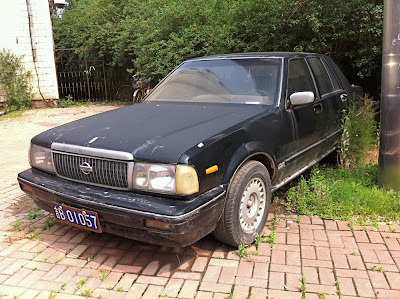 Final China Bonus: 1993 Nissan Cedric VIP Brougham. While photographing this, I heard my wife shout my name in alarm. So I turned around to see 6 police officers frowning at me with their arms crossed. This was definitely the scariest moment in the history of OPC. But my sister-in-law did her best to explain my lunacy, and they smiled and laughed once they found out I wasn't trying to steal it. 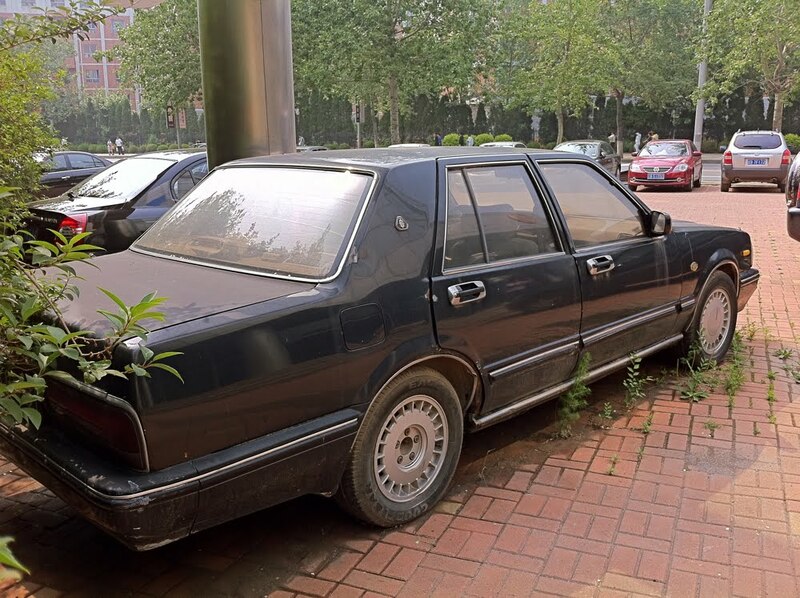 They said "This is a police station, and someone is coming to buy this car [for scrap] in 1 hour, so it's good that you are here today." Needless to say, the car did not get claimed while I was there. 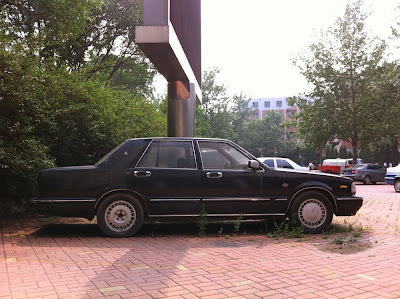 Apparently, the Chinese have taken up abandonding cars that have missing center caps as a hobby. This reminds me of my exhange year in Singapore a couple of years back. The Cedrics and Crowns were the most common taxicabs and I even remember taking a few journeys with a Cedric. Mind you, the taxi versions were extremely spartan: noisy diesel engines, manual windows, fake leather seats and a noisy manual transmission. I still enjoyed the Cedric's looks, though. that's a wonderful story. 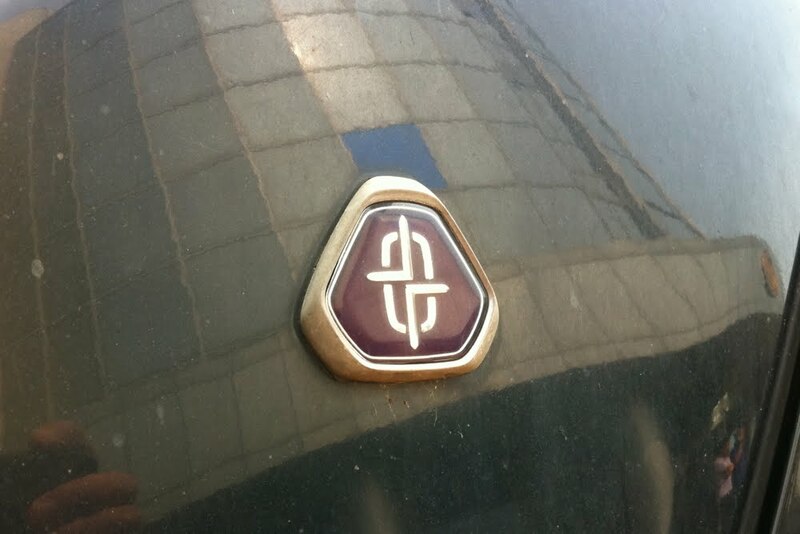 interesting that pretty much all the china stuff you documented looked incredibly formal. were all the cars so stiffly styled like that, or was that just perhaps one reason that the cars lasted long enough to look so trashed? does the air look kind of filthy? The air really was smoggy, and also most days were foggy because we were near the ocean. These cars were definitely not the norm, they stuck out like sore thumbs amidst waves of new, cheap, tiny cars and diesel belching trucks. That reminds me, I have another car on Atika's camera, stoked but we'll have to wait for that one. 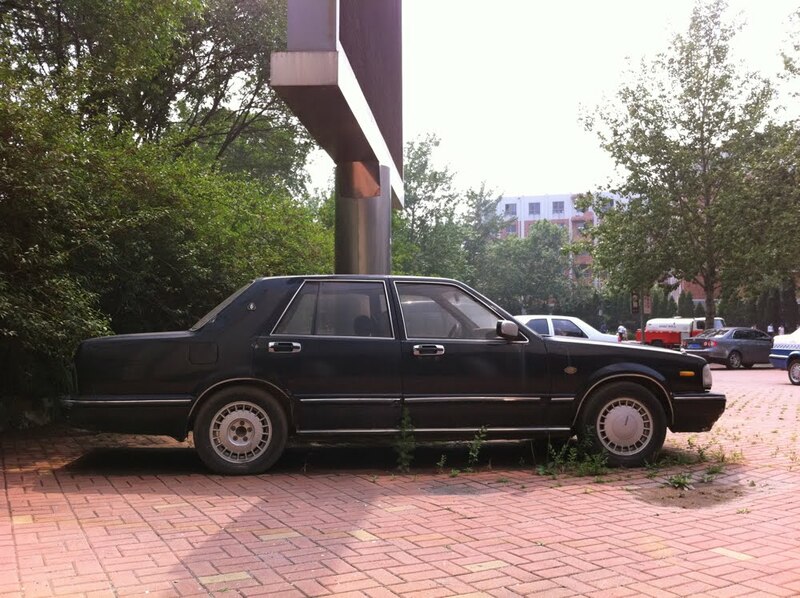 The common denominator with these cars must be that they were higher end luxury models and too expensive to maintain, but they were built with a level of quality that made them outlive all the other cars purchased at that time.